But first they'll be wined and dined. The Concours d’Elegance held every summer at Pebble Beach has become more than just a showcase for classic and exotic cars. Because it takes place during the so-called off season for major auto shows, automakers in recent years have been taking advantage of the publicity surrounding Pebble Beach to debut new cars and concepts. 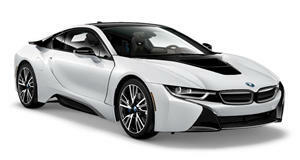 This year, BMW is planning to deliver to customers their long desired i8s. This isn’t something entirely new for BMW. For the past two years, the German automaker has hosted private presentations and receptions at Pebble Beach for select VIP customers and other special guests. In fact, just last year at this same venue BMW gave a sneak preview of the i8 to its VIPs and potential customers. One year on and BMW will deliver the i8s to those who placed an order. And yes, there’s a good chance those new owners were a part of the group BMW wined and dined the year before.